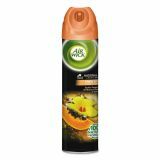 Air Wick 4 in 1 Aerosol Air Freshener, 8 oz Can, Hawaii Exotic Papaya & Hibiscus Flower - Uses 100% filtered air propellant. 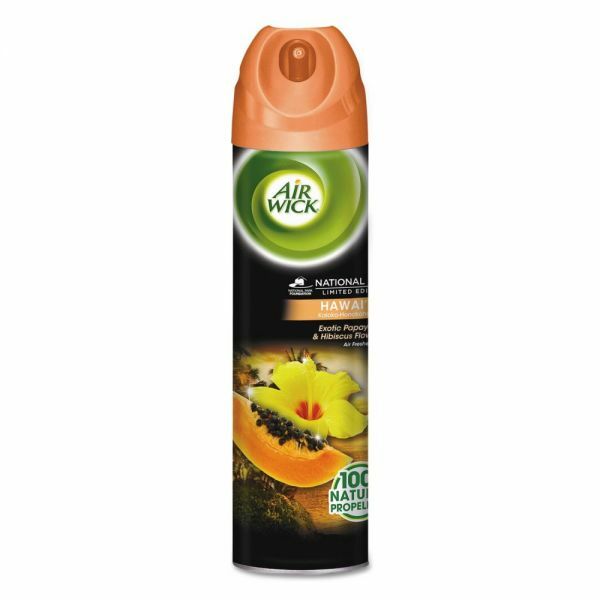 Unlike traditional aerosols that release chemical propellants, Air Wick® is propelled only by compressed filtered air to deliver a cleaner premium fragrance experience in a dynamic soft mist spray. This 4 in 1 product is effective at eliminating strong odors, the superior fragrance acts in seconds and lasts up to 1 hour.